Different devices require different codecs and settings for the streaming. 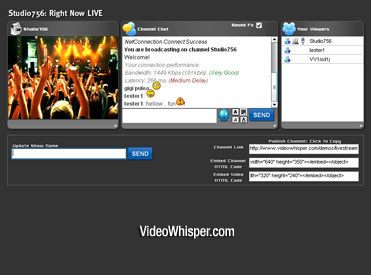 Most VideoWhisper Wowza plans come already setup to support various formats but you need to publish in supported formats and playback from supported urls. Flash applications currently encode in a standard format that is not accessible on most mobiles without flash support. External encoders and publishing multiple streams may be required to support multiple devices. For streaming existing video, these would need to be compressed at different bitrates to support different devices. Also a web account is provided to access streams by ftp/http as needed and to host website and/or video processing scripts. – If you publish a stream StreamName in Apple iOS supported format (with external encoder) use rtmp://YourIP/YourAccount-x and stream should be available with http://YourIP:1935/YourAccount-x/StreamName/playlist.m3u8 . – To stream a sample.mp4 file to Apple iOS, upload it to /home/YourAccount/public_html/streams , open http://YourIP:1935/YourAccount/mp4:sample.mp4/playlist.m3u8 on iOS. – For RTSP/RTP encoder only, username and password are provided. 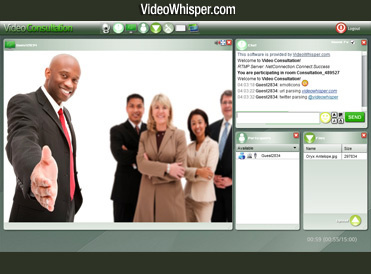 Contact VideoWhisper if you need additional assistance.